At PPL we understand that the key to successful business management, sustained growth and healthy profit margins are speedy access to the best resources! 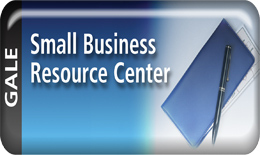 It is our goal to provide reference services and library resources to help Portland area businesses succeed. 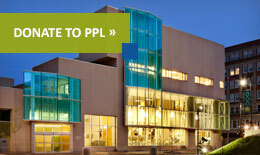 PPL’s Business & Government Team manages our business resources, providing Library materials, online resources and programming on economics, business, government, demographics, law, politics, financial literacy, and career development. For a quick overview of how PPL resources might help you research your business idea check out this Prezi! The U.S. Census Bureau is the leading source of statistical information about the nation’s people, places, and economy, providing not only snapshots of the nation’s population size and growth, but also detailed portraits of the changing characteristics of our communities. 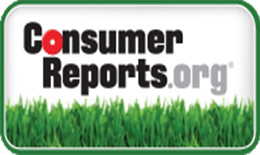 American FactFinder provides census and ACS (American Community Survey) data that can be downloaded in a tabular format and joined with Census Tiger line files so the data can be displayed in ArcMap. This database is uniquely qualified to help teachers and students learn and apply statistics because it is a primary source of economic and demographic data for the U.S. and is uses the work of thousands of statistical experts. Sometimes we all need help understanding money. 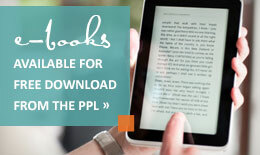 PPL provides effective, unbiased financial and investor information through our print collections and online databases like Morningstar Investment Research Center and Value Line. PPL’s Value Line subscription also offers access to The Small and Mid-Cap Survey. In collaboration with KeyBank, PPL also offers programs on financial topics throughout the year – with the highlight being Money Smart Week each April. Find the information you need to run your business in today’s competitive market. PPL has resources to help you write business plans, utilize social media, lead effectively, increase sales, stay on top of record keeping, recruit and retain the best talent, and much more! Everyone has a right to know the law. We make it possible for the general public to learn about and use the law to solve problems, access justice and leverage opportunities. Business Breakfast Forum: Innovative Retail.